Do you remember how to operate one of these? GPS will fail. Maps are always there for you. I’ll never forget watching someone’s tent wheeling its way across the blustery desert because the guy ropes were tied with granny knots. It was another reminder of the practical value of basic outdoor skills. Spending a chilly night under the stars was probably a valuable lesson to that hunter! As with most things in life, there is usually a right way to do a task, and a number of wrong ways to do it, then re-do it. Even if you were a Boy Scout, useful skills and indispensable knowledge have a way of falling out of your mental filing cabinet. Some of them might save a life, or avoid serious injury. Others are simply helpful and will make your day afield – or training your dog – more productive or enjoyable. Study, then bring along a copy of a map of the area you will hunt. Make note of a stream, road, ridgeline or other long relatively straight feature in relation to where you park or make camp. That’s your catchline. You will hunt away from that location, and as long as you know which direction you went in relation to the catchline, you’re home free. Example: I’m camped along a river that runs north-south. I hunt away from camp to the east. When I want to head back, I simply walk west until I reach the river. Camp is either left or right along my catchline. 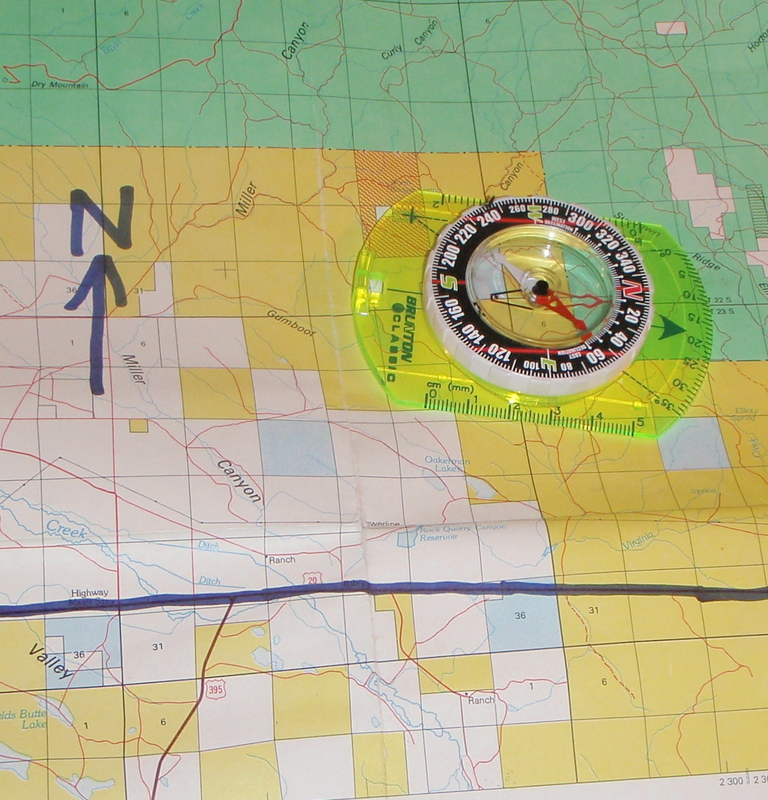 If I’m really smart, I’ve overshot camp on purpose (say, to the north) so I know to walk south when I hit the stream. Stay warm in a sleeping bag: Wear dry sleeping apparel – the clothes you wore all day are full of your perspiration and will wick all the heat from your body. Eat or drink something warm before bed (I prefer hot buttered rum). Wear warm socks and a stocking cap. Buy a sleeping bag that has enough room in the foot area – toes compressing insulation are a sure route to misery. Use a sleeping pad to insulate you from the cold ground or air circulating below your cot. Put a waterproof ground sheet (vapor barrier) under you or your tent to prevent bone-chilling moisture from seeping into your sleeping bag. If it gets extremely cold, wrap yourself in another vapor barrier (leave room for your head to ensure you can breathe!). Drive a muddy road: Go slow. Avoid braking as it will lock your wheels and you’ll slide. Use a low gear and four wheel drive. Look ahead on the road to anticipate a good “line” and maintain momentum. Move steering wheel left to right as you negotiate ruts – the tire tread will grip the rut walls. Avoid sharp steering wheel movement and turns – the weight and momentum of your vehicle will carry the day, not tires on a slick surface. If you get stuck, more weight on the drive wheels might generate additional traction. Put your friends in the truckbed over each wheel. Place branches, brush, floor mats or small rocks in front of drive tires to create some traction. “Rocking” back and forth by going from forward to reverse gears might get you out, but spinning wheels at high speed just digs you deeper. Sometimes, all you need are a few inches of movement to get out of a rut – a small log, shovel handle or other lever pushing on the bumper might be enough. Break up a dog fight: Never grab dogs by the collar – you are not strong enough to keep two fighting dogs apart for very long and a fighting dog has no regard for even the best of owners and could inadvertently bite you as you reach for him. With two people, one person grabs the back legs of each dog and pulls them in a backward-circular motion like a wheelbarrow. This makes the dog sidestep with his front feet or fall, so he has little incentive or ability to bite you. Do not release the dogs – keep pulling them into separate rooms, yards, etc. If you are alone, find a leash, loop it around the waist of one dog by threading the clip end through the hand loop. Pull that dog to a post, pole or other secure object and tie the leash to it. The fight, of course, will continue. Then, grab the other dog by the back legs and circle as above, isolate it in another yard or room. Release the tied dog only when the other one is safely isolated in a secure location.